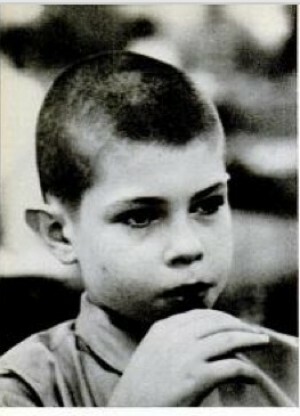 This child is Mike Grost, as he appeared in a 1965 article in Life magazine. At the time, he was said to have an IQ of 200+. Michael Grost was only 10 when he began at MSU in 1964.
resident described his life in college as similar to having "40,000 brothers and sisters." system architect at a computer company in Detroit. Gee, I don't know. Kinda underwhelming. Shouldn't he be a Silicon Valley zillionaire by now? Even his home page is kinda lackluster. Oh, well--maybe as a certified genius he knows that material success is a sham. There's nothing like a guitar prodigy to brighten one's weird day. Sungha Jung is currently 15 years old, but he looks even younger in these videos.